If you are looking for authentic Barbadian Crafs, look no further than Roslyn of Barbados. Since the 1960's the place for traditional Barbadian crafts and trendy local creations is Roslyn Watson's shop at Pelican Village Craft Centre. Pelican Village Craft Centre is the largest art and craft centre in the Caribbean. Roslyn's pottery figurines make super gifts as does her famous weaving. Basketry, books, clothes, jewellery and a whole cornucopia of Barbadian crafts. 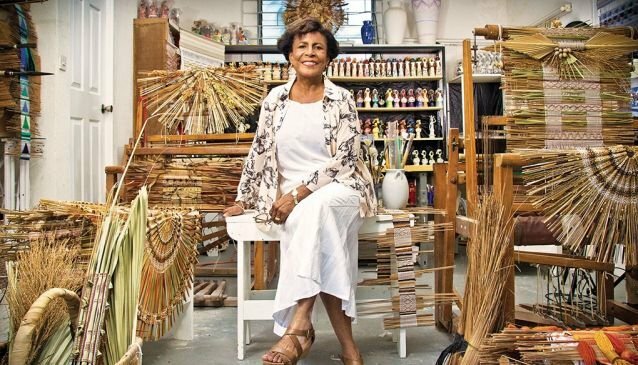 Roslyn Watson, the creative force behind the Roslyn of Barbados Craft Shop at Pelican Village was recently honoured by UNESCO with an Award of Excellence for Handicraft. Open Monday-Friday 9am-5pm. Saturdays 10am-3pm.